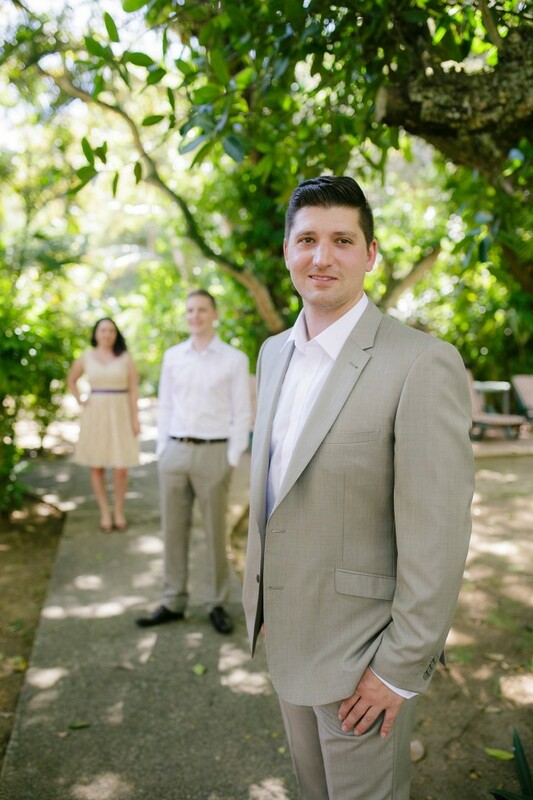 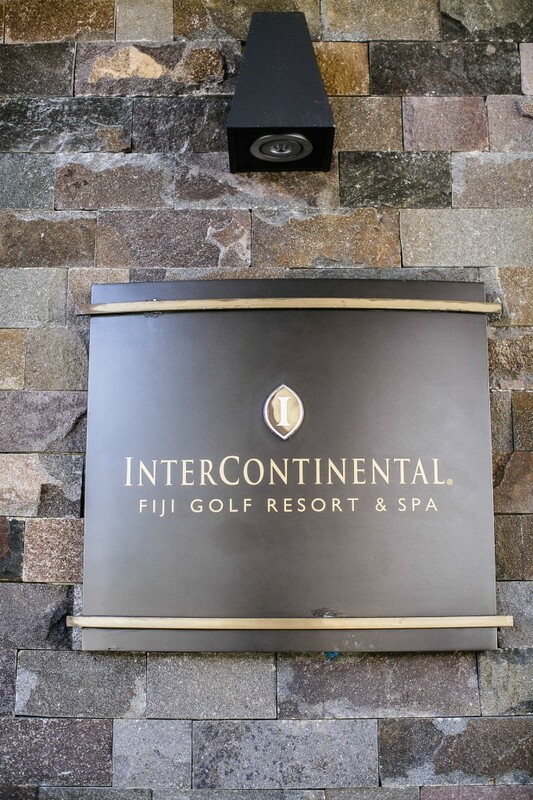 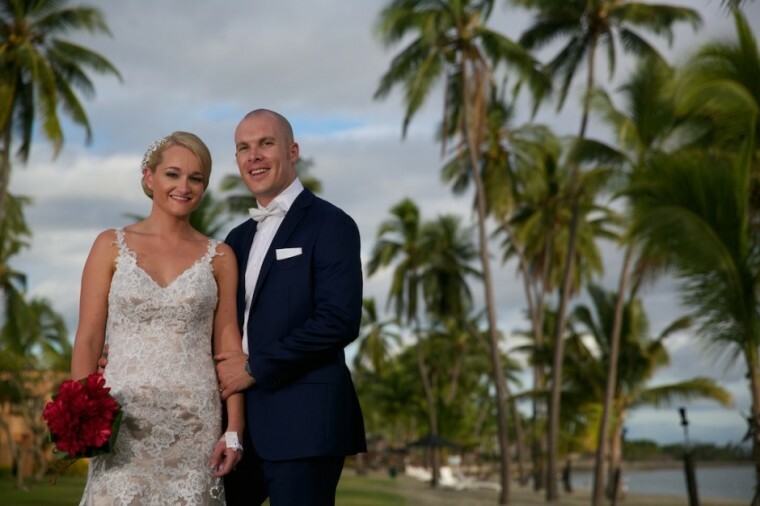 Andrea & Matt are such a special couple and it was an absolute pleasure working with them to plan their big day at the InterContinental Fiji Golf Resort & Spa. 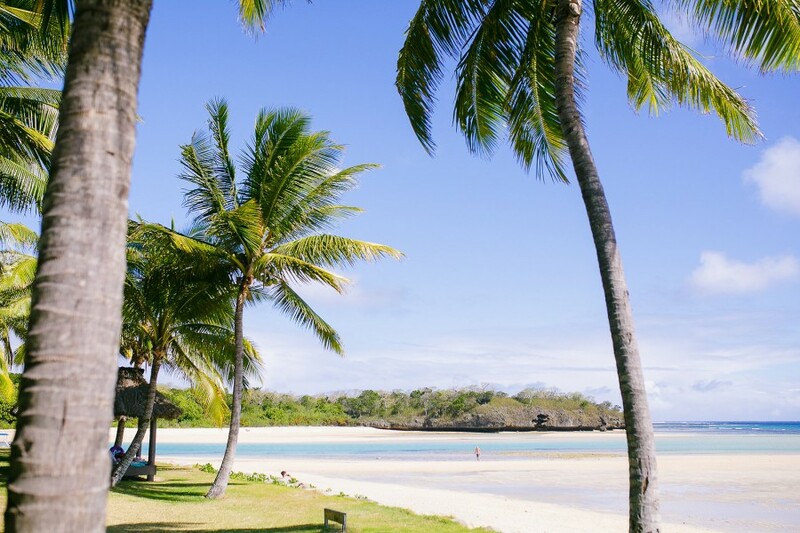 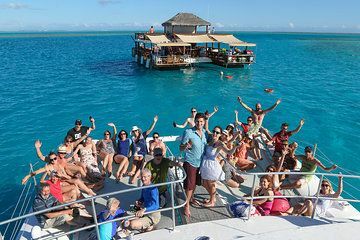 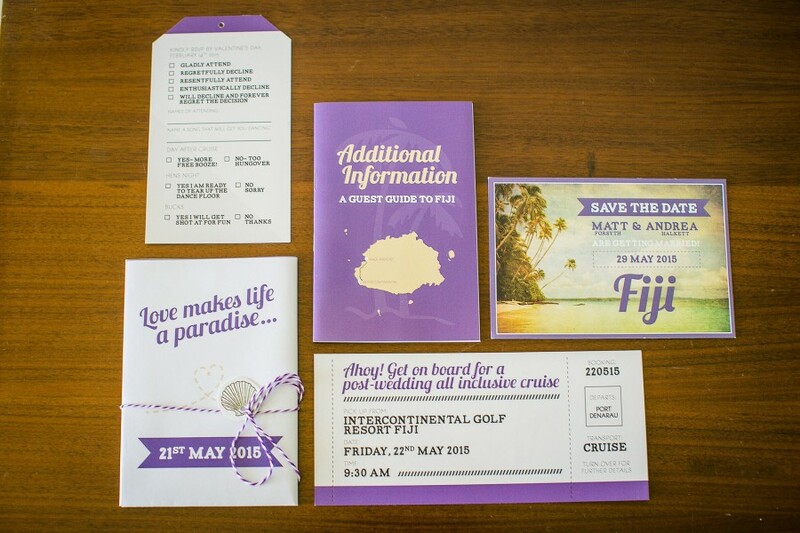 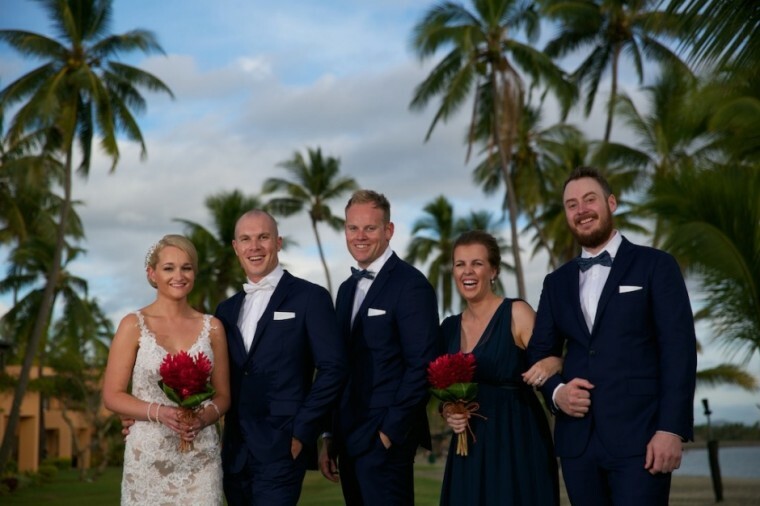 They chose Fiji for their destination wedding as they had family & friends from both New Zealand and Australia and they thought it was a great place from them to all meet up and help celebrate their big day. Prior to the wedding day they took their family & friends out to Cloud 9 and they also had a lovo and bonfire on the beach the night before. 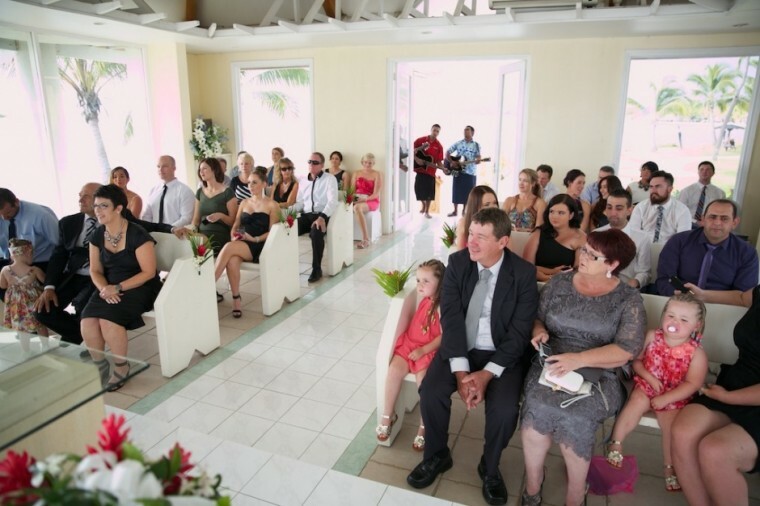 The reception was to be set up outside on the Toba Beachfront however due to windy weather they moved it to the Water Court area. 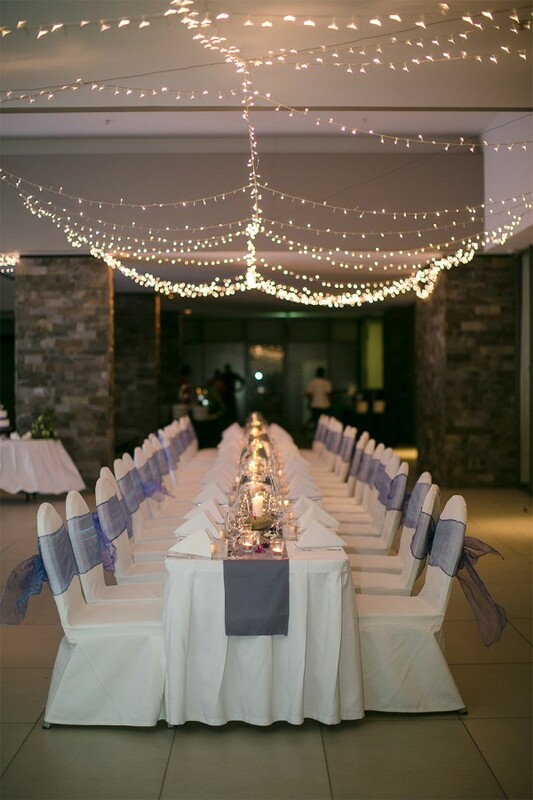 The team from Party Hire & Events set up everything to look just as Andrea had wanted outside. 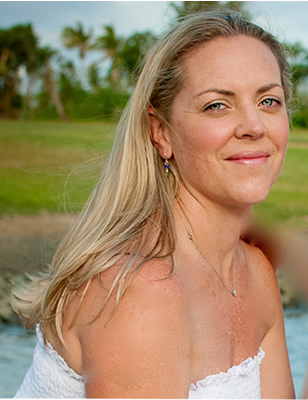 Andrea had two gowns, Lilli Marcs and Maggie Sorreto, so she could ‘trash’ one. 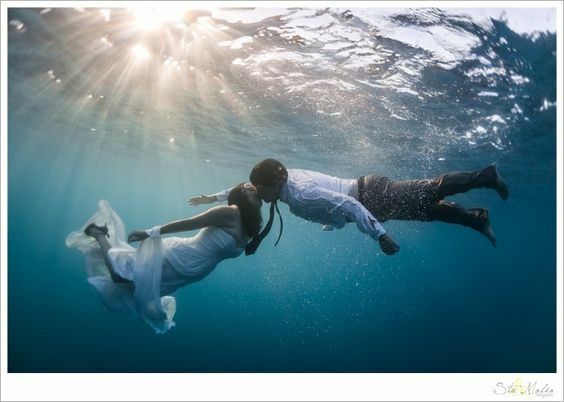 The day after the wedding Lia & Stu Photography took the couple out on their boat to do an underwater session. 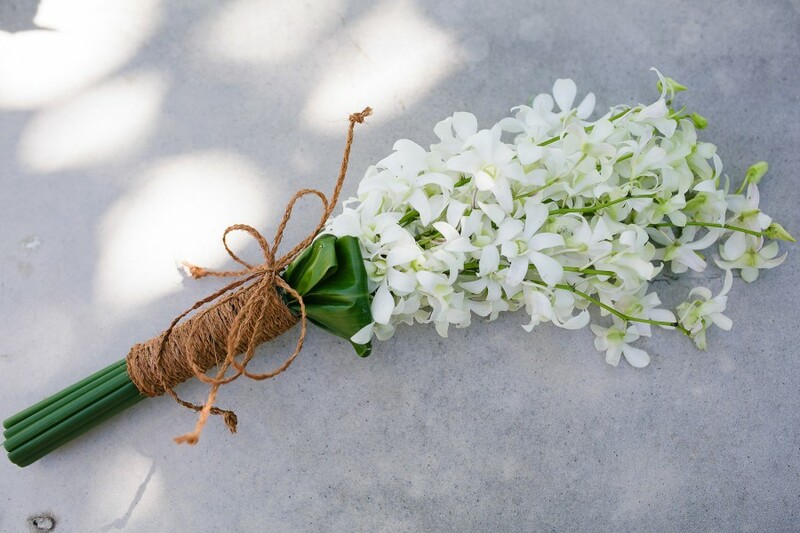 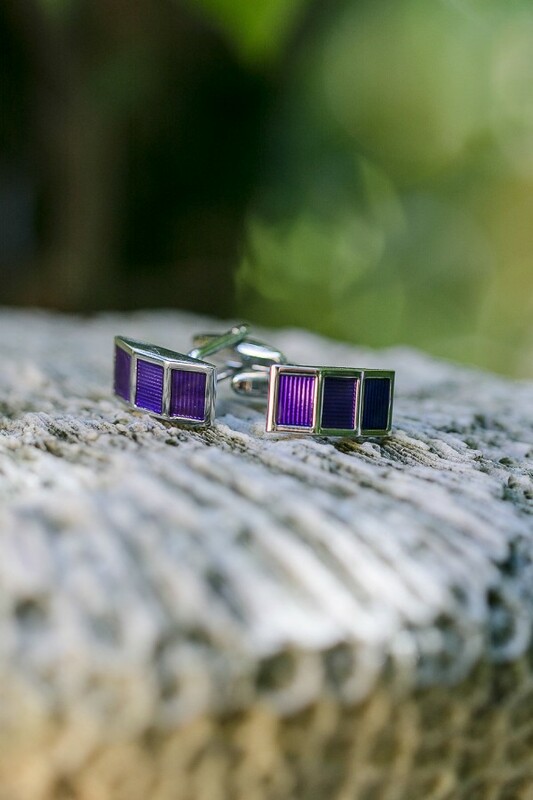 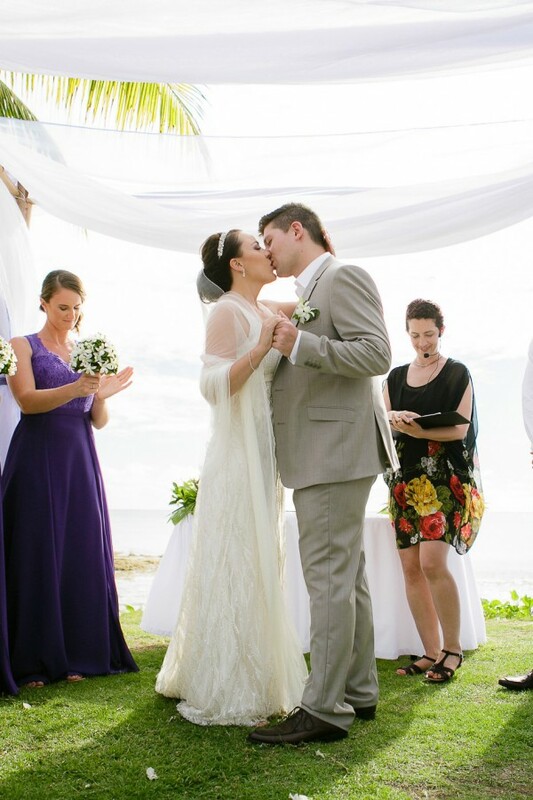 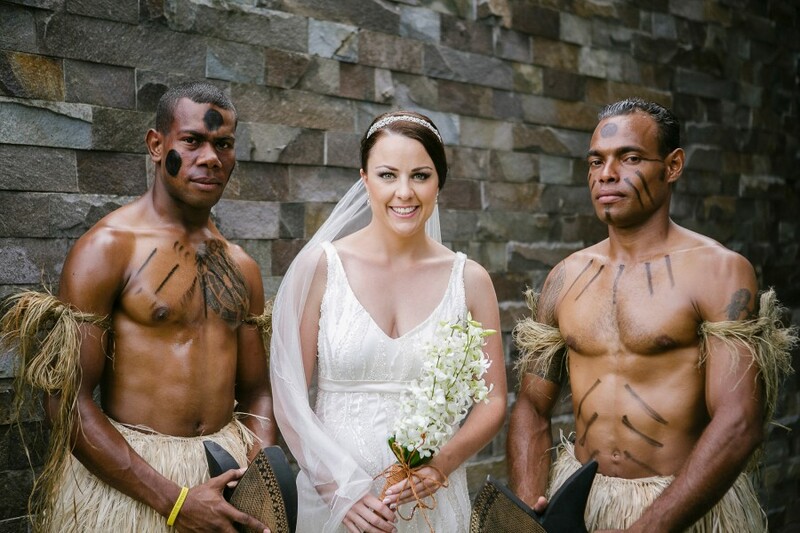 They travelled all the way from the country to say I-do on the tropical Island of Fiji. 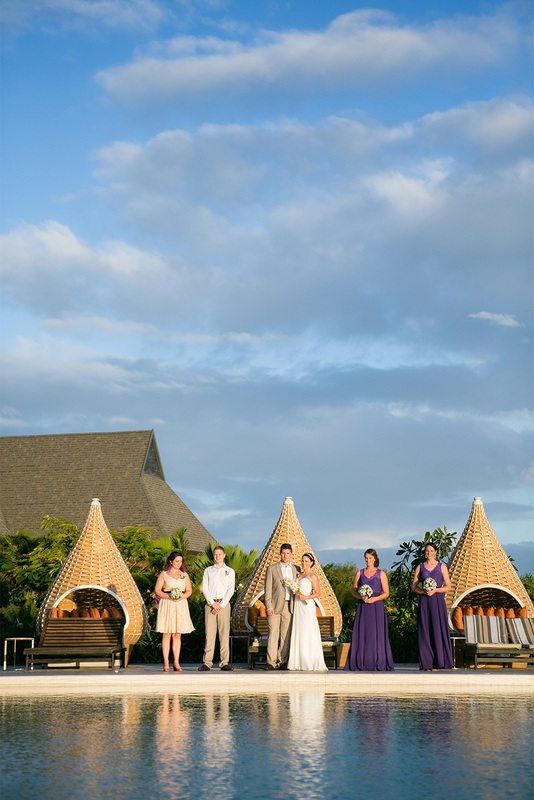 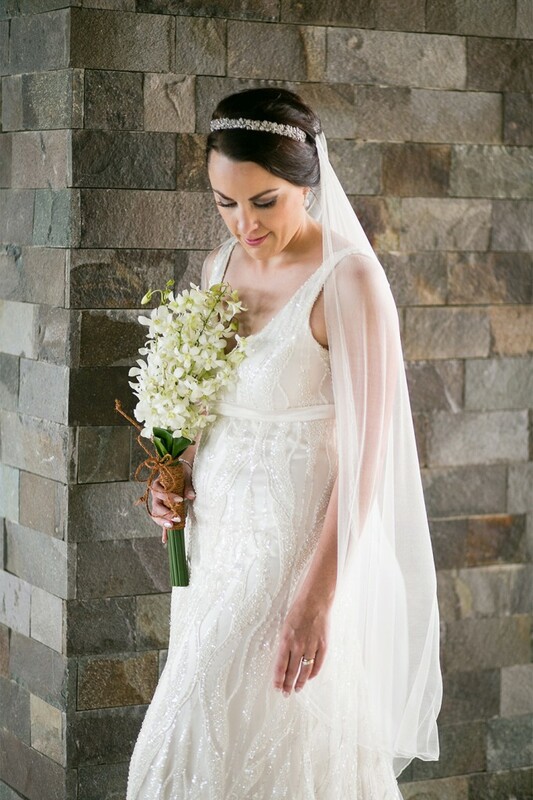 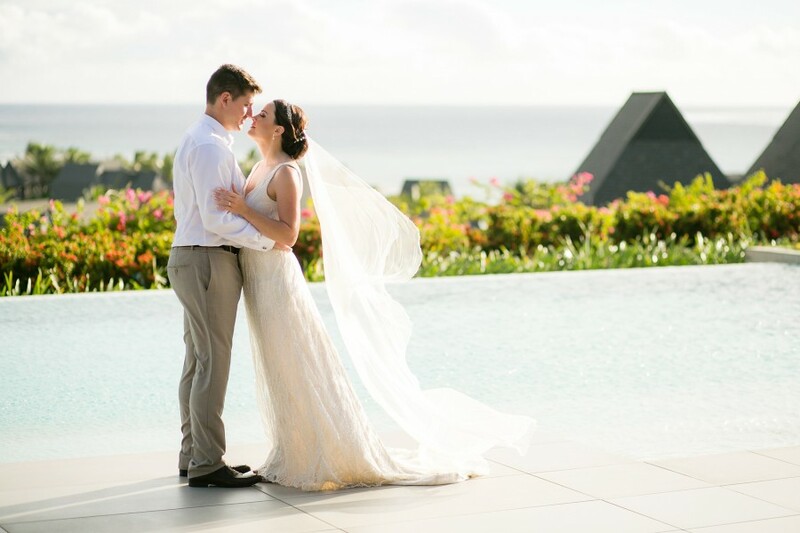 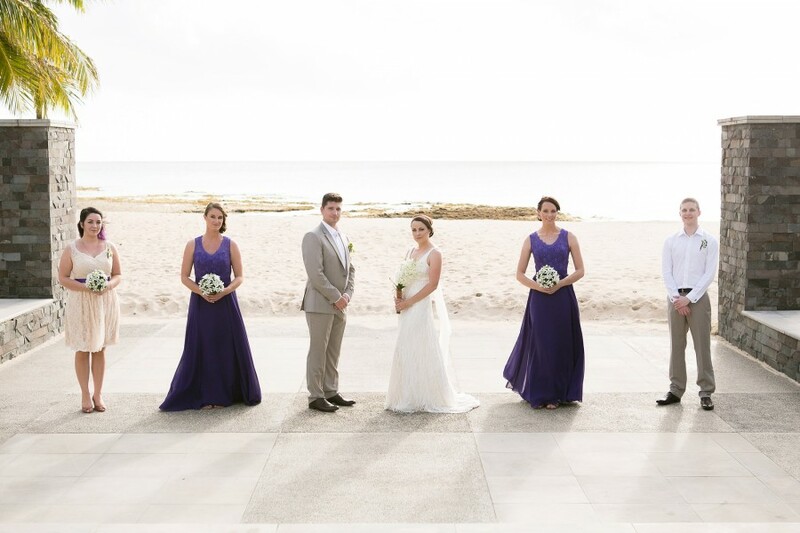 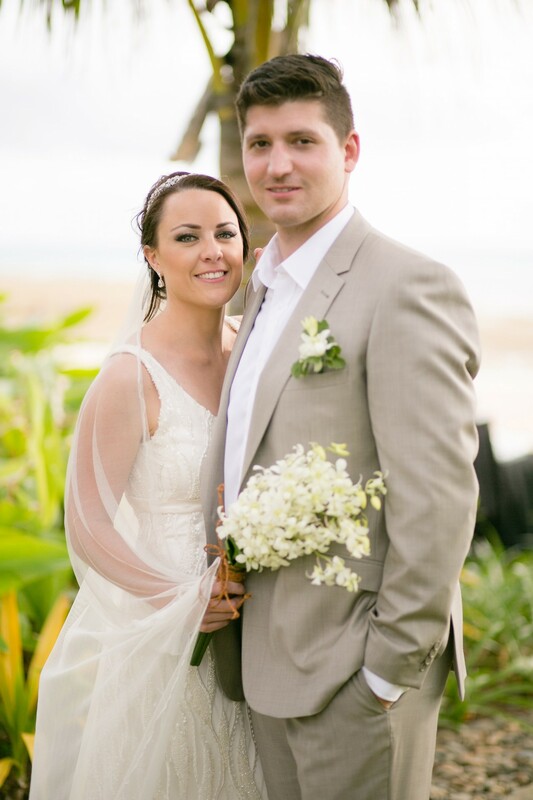 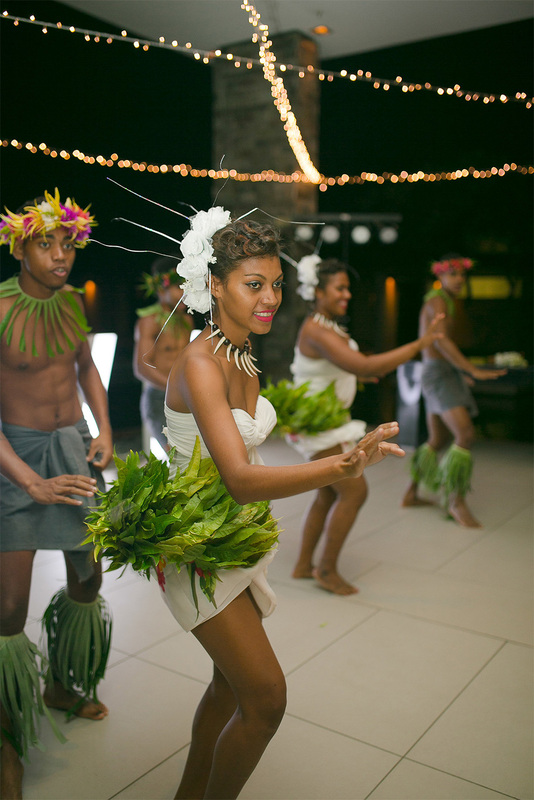 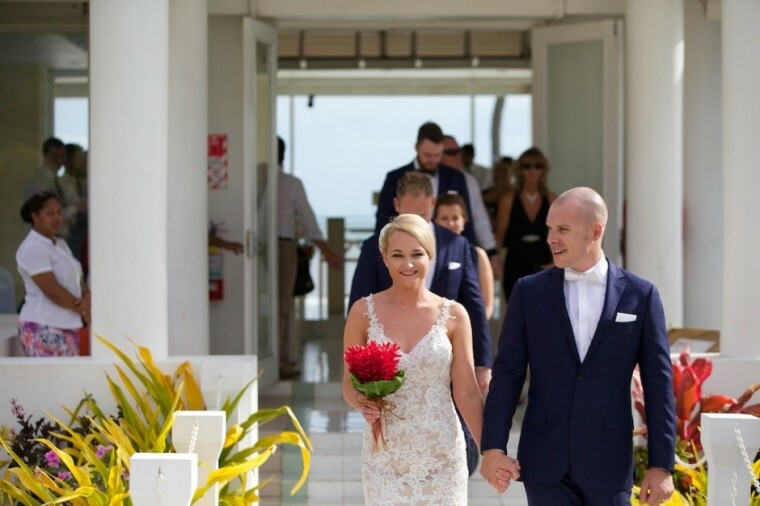 Sarah & Richard’s wedding was held at the Sheraton Fiji Resort & Westin Denarau which is our most popular resorts chosen by our brides and grooms. 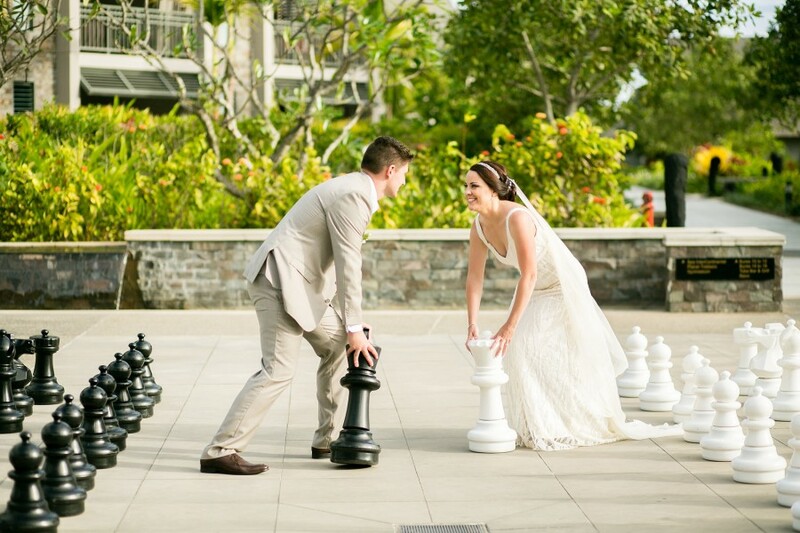 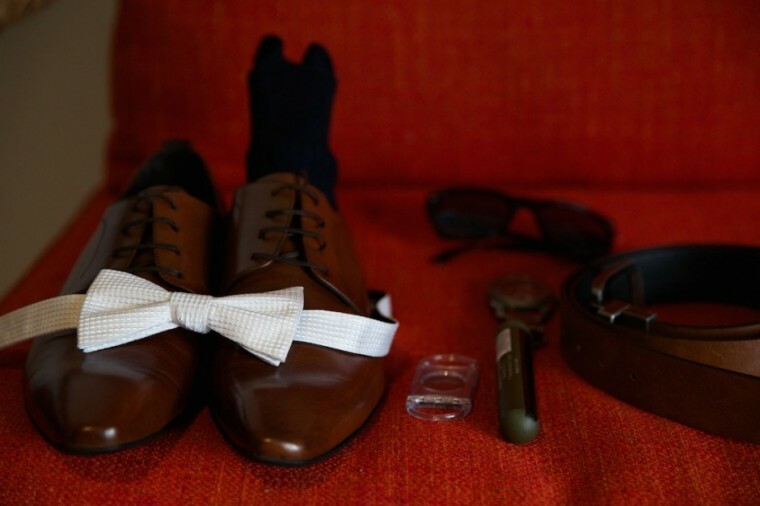 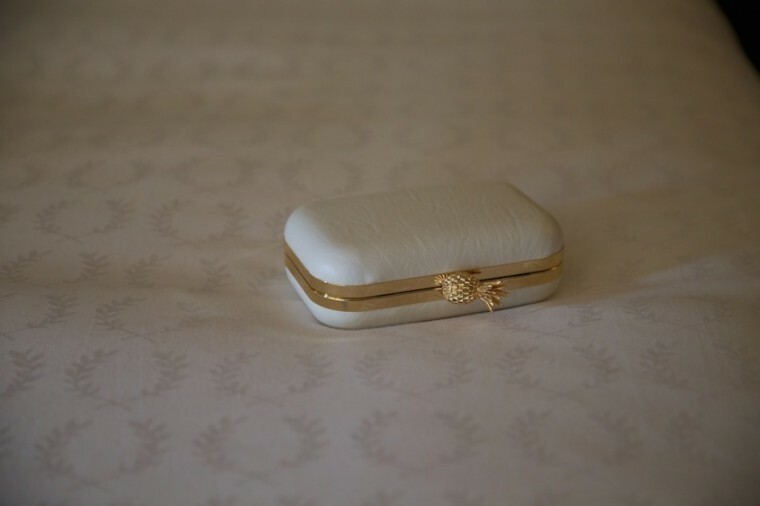 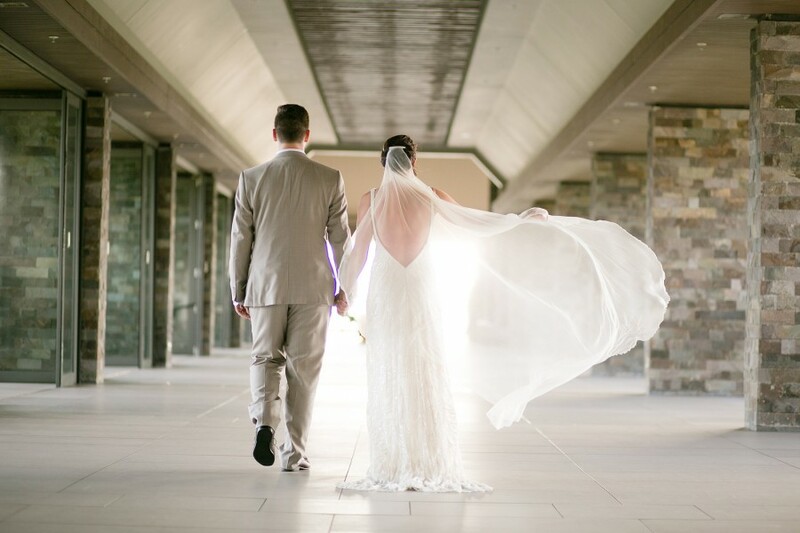 The Sheraton & Westin have several areas for ceremonies and receptions and has lots of different accommodation options, and the food and services is always fabulous. 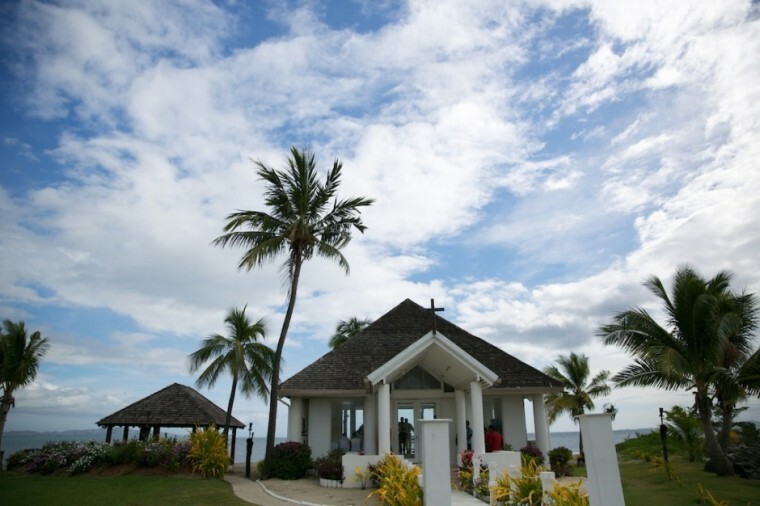 Their wedding was held in the stunning Paradise Chapel which is located right on the point of the Sheraton beachfront, Fiji put on the perfect day for them. 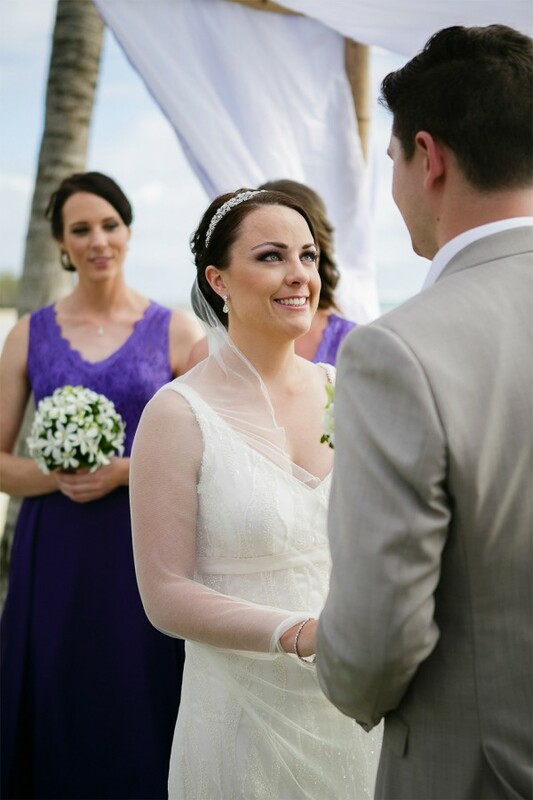 Hair & Makeup Perfectionist did a fabulous job on Sarah, her hair looked absolutely beautiful and how cute is that pineapple clutch! 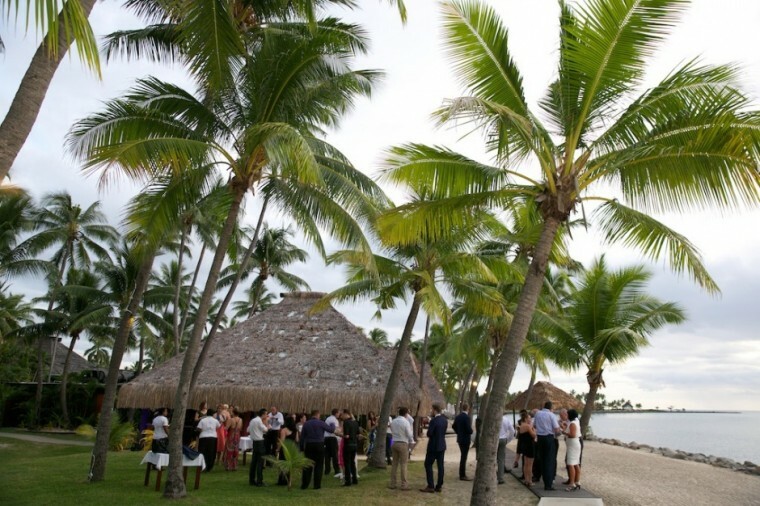 Their reception was held in the Westin Bure which is located right on the ocean front next to the main restaurant, it’s such a beautiful spot with the open sides and that amazing Fijian thatched roof. 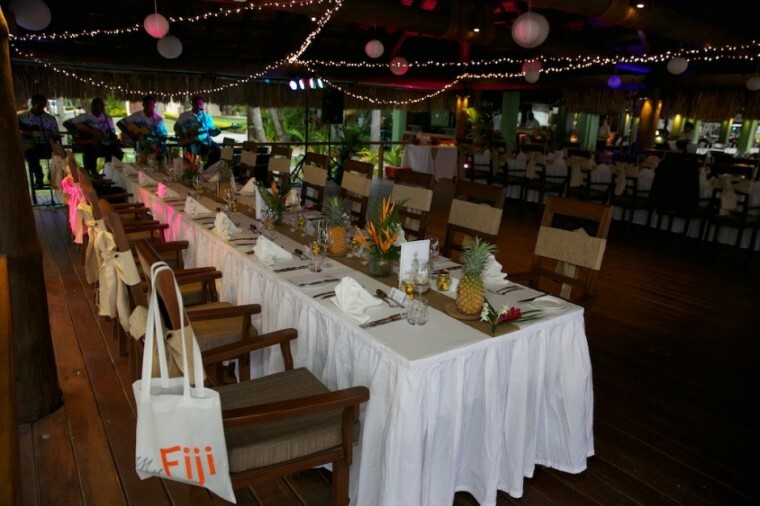 Grace Creations did burlap tables runners & chairs ties with tropical flowers and pineapple as the centerpieces and they decorated the roof with fairy lights and paper lanterns. 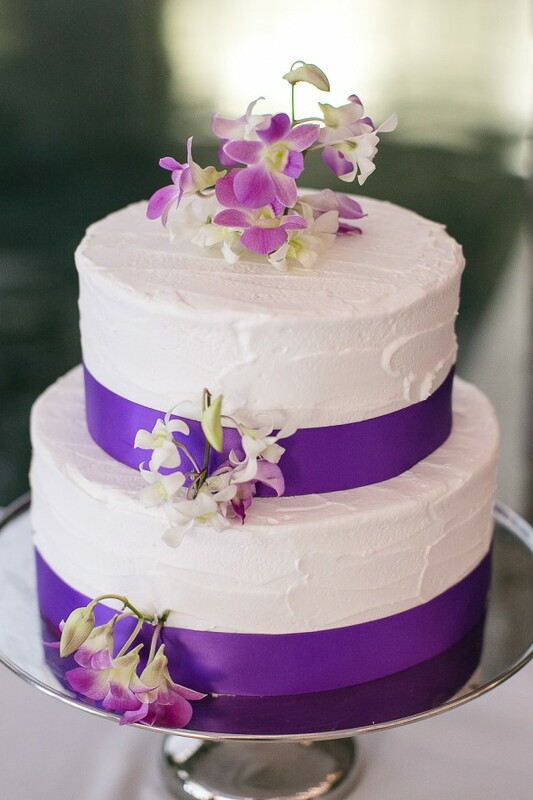 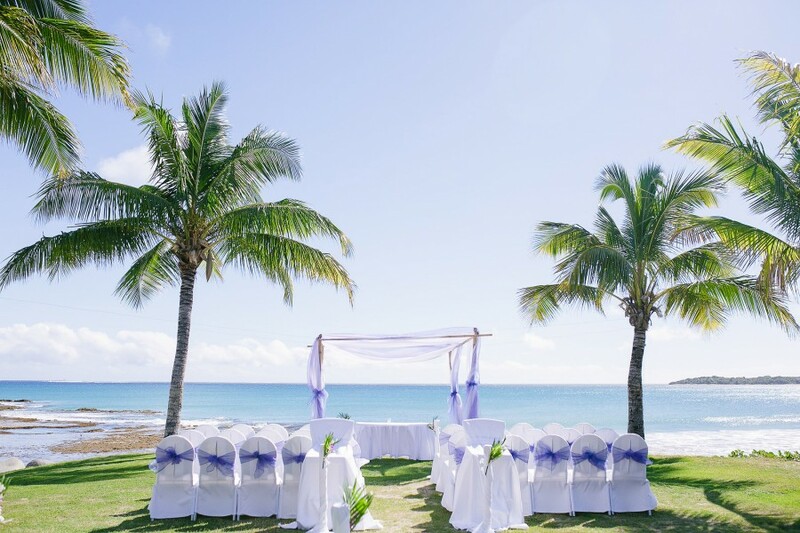 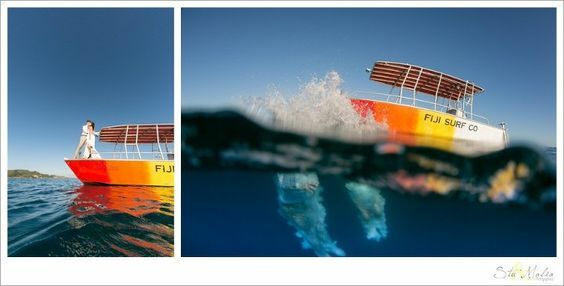 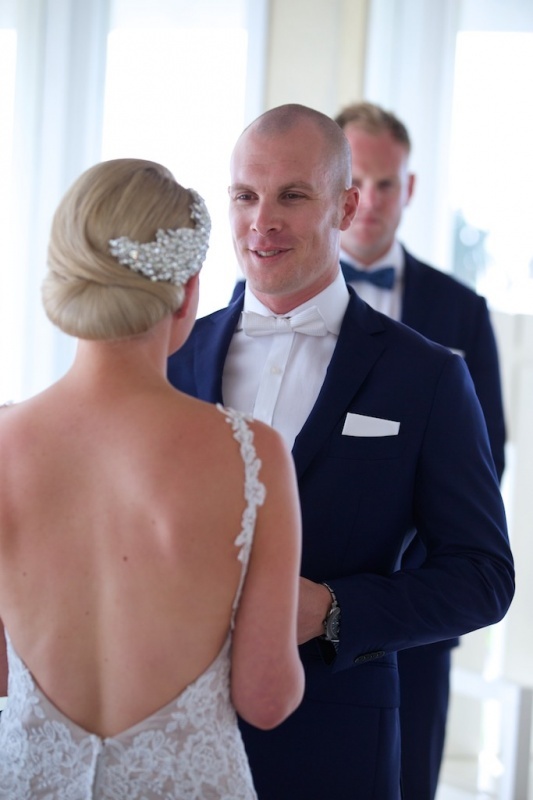 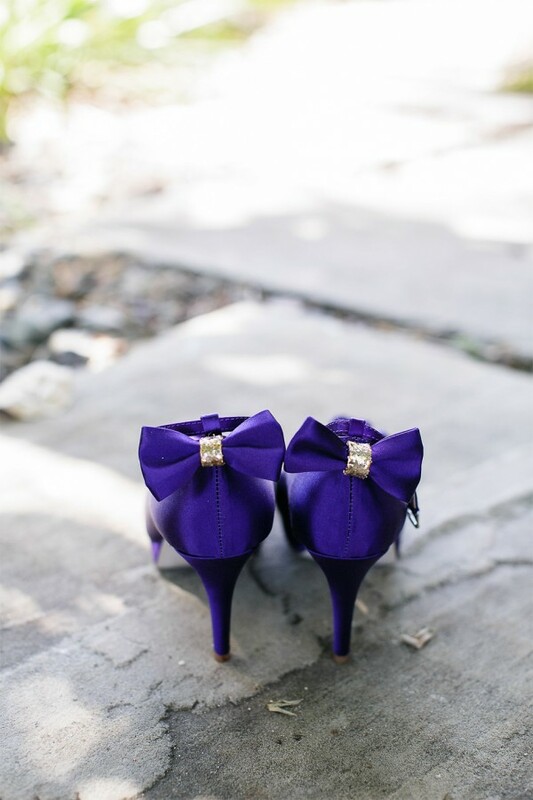 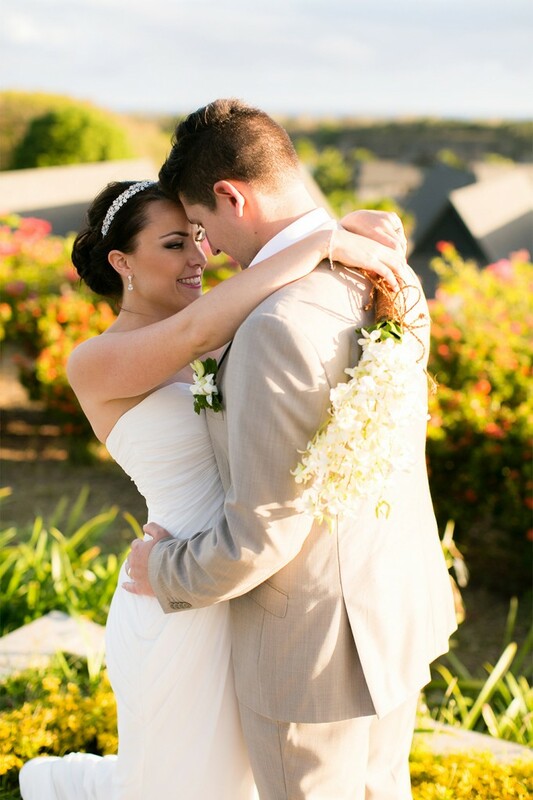 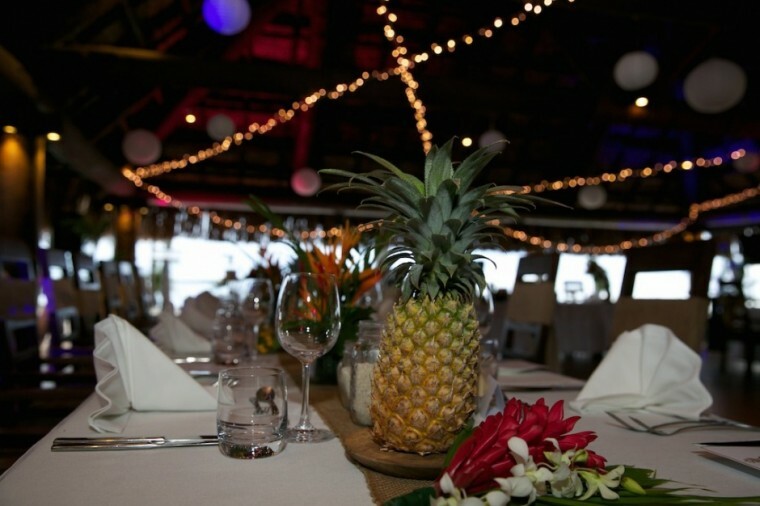 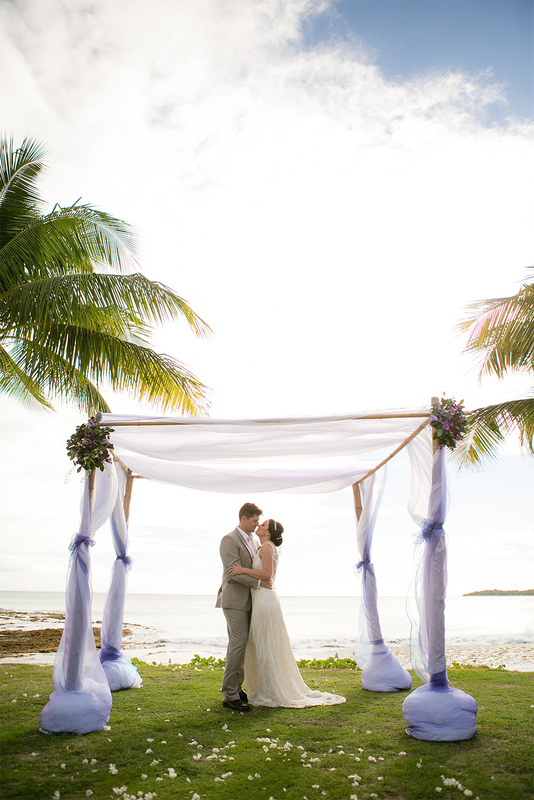 We hope you enjoy these beautiful photos by Zoom Fiji of their special day. 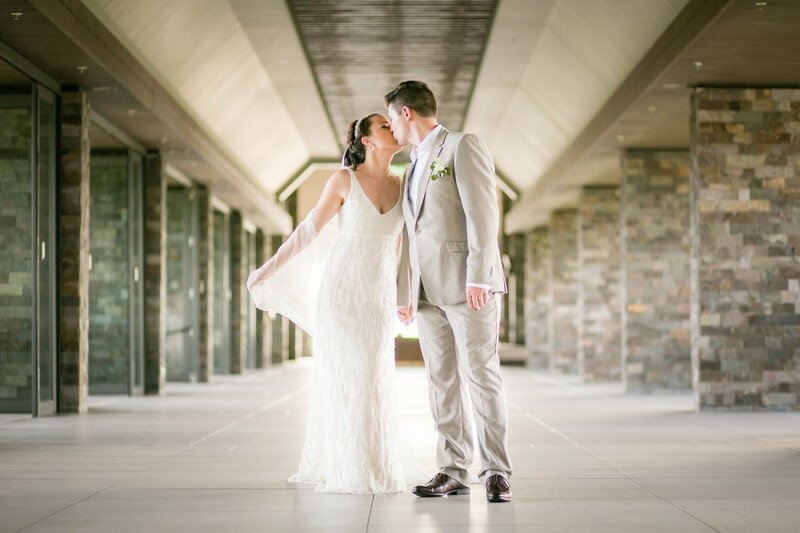 Sarah & Richard spent their honeymoon in New York.